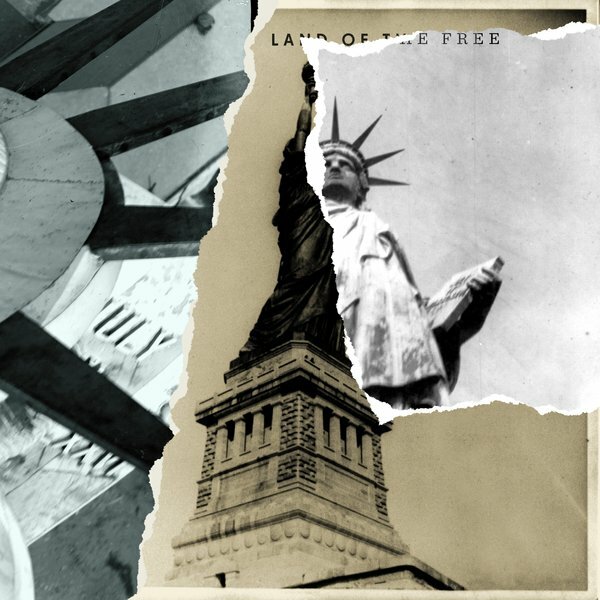 It’s easy to sympathise with The Killers sentiment on their new single “Land of the Free”, if there was ever a time for a return to protest pop songs, it is surely now. Their last album, 2017’s “Wonderful Wonderful” was a return to form record made up of driving arena rock, funky indie pop and heartfelt electro ballads. However “Land of the Free” doesn’t produce much of the inspired music choices or the sharp, pop songwriting showcased on that record. Now the song overall is definitely not painful to listen to, it has some nice piano backing with a build of soft synths, drums and guitars coming in later, Brandon Flowers’s voice is as strong and sweet as usual and the addition of a gospel choir adds warm character to the track. There is a Springsteen style heartland rock tone to the song, though it’s influence is a little too obvious for the most part and the song generally comes out a little clunkier than most of Springsteen’s political efforts. It’s a shame because the emotion behind the track is obviously well felt by Flowers, who clearly feels very strongly about raising awareness to the messages behind the track, possibly too much so in that the song never really goes anywhere, there isn’t the fist raising climax that you’d expect from a band known mostly for crafting epic pop-rock singalong choruses. Though his heart is in the right place, he doesn’t really say anything particularly profound on the track, there is little wordplay or lyrical imagination present, he simply presents the many glaring injustices going on in America today; the demonization of migrants, societal racism and the reluctance in the changing of gun laws. You could argue that the heavy-handed approach to the lyrics and the low key instrumentation represent the need for clarity and straight talking in the midst of the current political climate, and there are odd spots and lines that work well here and there, “High enough to keep all those filthy hands off of our hopes and our dreams/ People who just want the same things we do /In the land of the free” but when compared to another modern political track such as Childish Gambino’s “This is America” it pales in comparison to the latter’s creativity in both musical direction and tight lyricism. A comparison you could make between the two however is that they both are accompanied by captivating videos, “Land of the Free” is directed by legendary filmmaker Spike Lee, who does a good job at highlighting the track’s strengths and evoking visually those feelings and emotions that the music unfortunately often fumbles with.